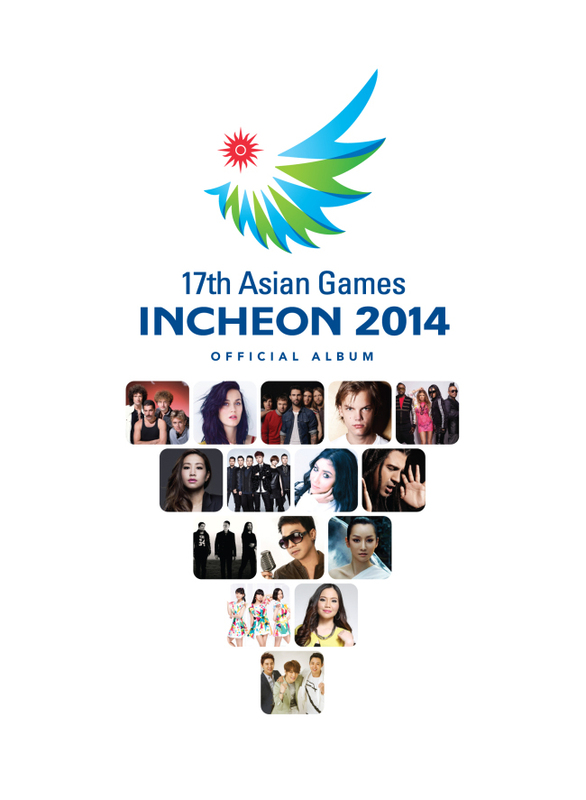 The official album for the upcoming 2014 Incheon Asian Games was released by Universal Music on Friday. The “17th Asian Games Incheon 2014 Official Album” is the first of its kind to commemorate the international sports event, said Universal Music Korea. In line with the global event’s official slogan of “Diversity Shines Here,” the album features popular hits by diverse international artists filled with messages of support, passion and peace. The second volume contains music by popular Asian musicians, including South Korean idol group JYJ, who sang “Only One,” China’s Sa Dingding, Japanese girl group Perfume as well as Taiwanese indie band Sodagreen. The theme song of the global event “OCA Hymn” is also included on the second CD. The 17th Asian Games will kick off on Sept. 19 and run through Oct. 4 in Incheon.